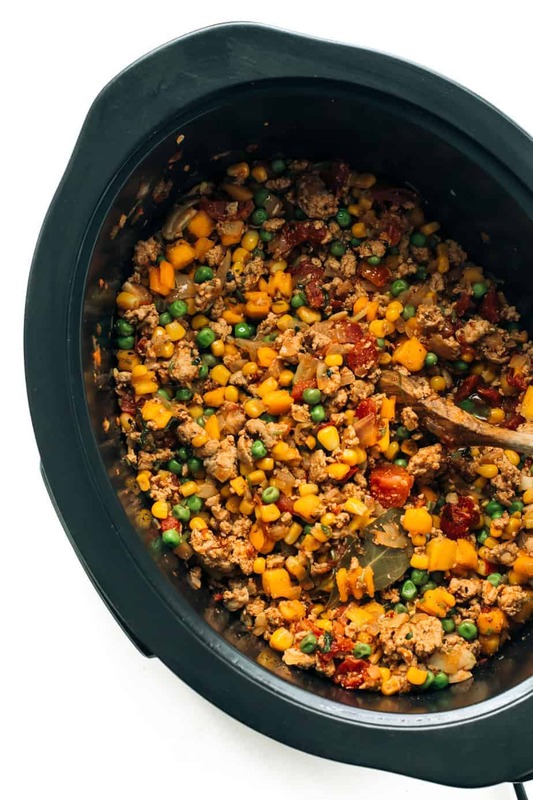 Today, I am going to share this slow cooker ground turkey recipe with butternut squash, corn and peas. I blended in Southwest spices which are customary with corn and tomatoes, but actually go amazingly well with the squash and ground turkey. 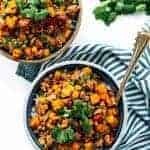 Squash and slow cookers are a match made in heaven, it soaks in flavors and juices amazingly well. 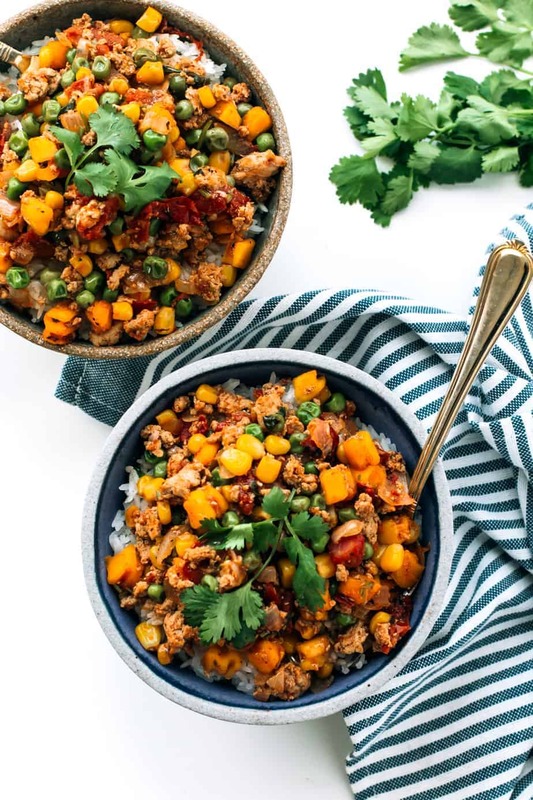 This slow cooker ground turkey stew recipe is so flavorful and you’ll get a great dose of meat and veggies for the day. It’s the perfect recipe for dinner or after a workout with a solid dose of lean protein. I usually just toss the ground turkey and fresh vegetables into a crock pot, shake some spices and I’m already 90% of the way towards something delicious. I’m probably the perfect target customer for Foster Farms as I am very health conscious and making strives to cook and eat better each day and month. As a mother of two beautiful children and a husband whose weight fluctuates up and down, I am always determined to make smarter decisions when it comes to our daily lifestyles. That includes food, exercise, the amount of sleep we get and other things that contribute to our overall well-being. Before I had kids, I spent a lot of time, energy and focus on the latest fashion trends and other indulgences that I still do like. These days I spend at least as much time focusing on things that affect my own healthy lifestyle and that of my family. 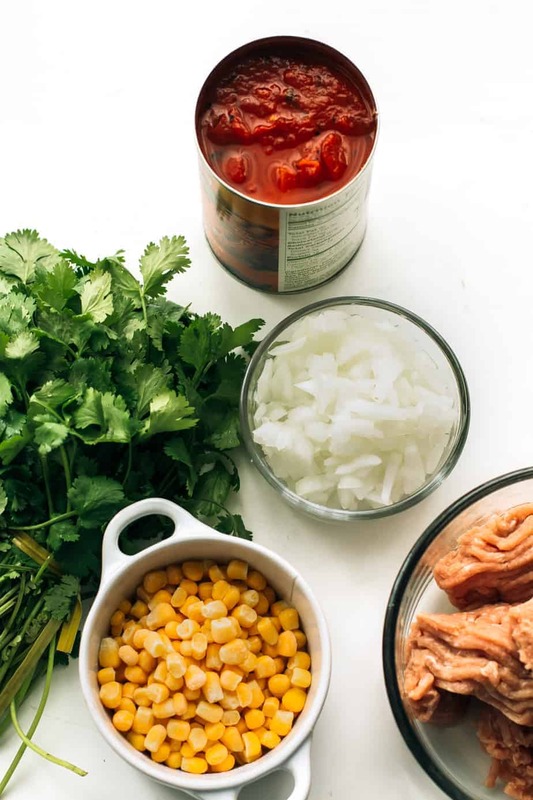 Having a blog with a lot of recipes I also feel obligated to show my readers healthier approaches to eating and cooking. Probably the biggest change for me is my approach on food, and viewing it as fuel for our bodies rather than just something I need to pile into my body a few times a day. I am not following any strict diet right now, but I do try to educate myself on foods as much as possible. I actually really enjoy the fresh taste of healthier foods much more than those that are processed. I eat most everything (combination of meats, fish, veggies and dairy) and try to control my meal portions. Not too many rules, just an appreciation for the fresh and natural! Where food comes from is very important to me. Here in California we are lucky to access to great weather and fresh ingredients from beautiful markets. I buy local and organic veggies as much as possible. When buying meats, I make sure to read the labels to find out about the farm before making a purchase. Foster Farms is one of the recognizable names in the supermarket that I’ve trusted for many years. 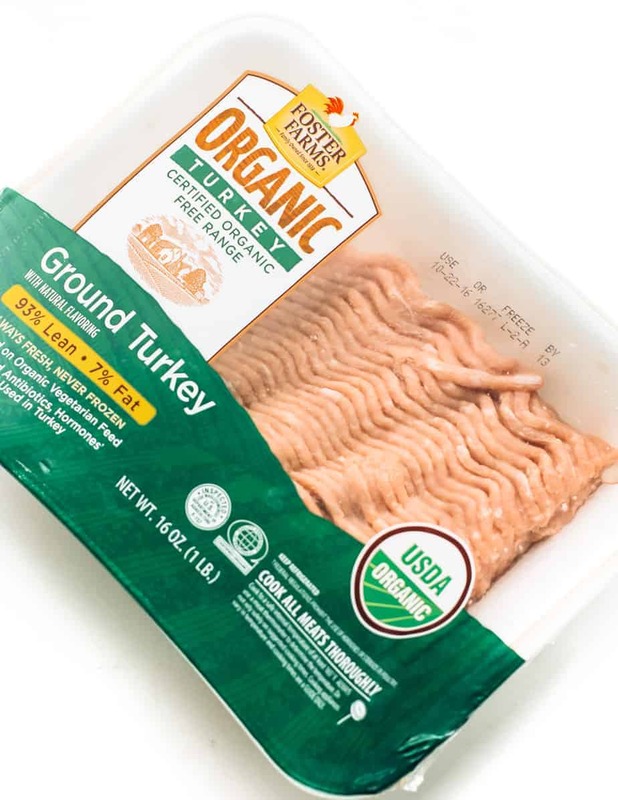 Foster Farms Organic Ground Turkey is local to California’s Central Valley, on organic land and a vegetarian diet. They never use antibiotics and the turkeys are free range, two big additional plusses. This post is sponsored by Foster Farms. The opinions stated are my own. Thank you for supporting the brands that keep Posh Journal cooking. 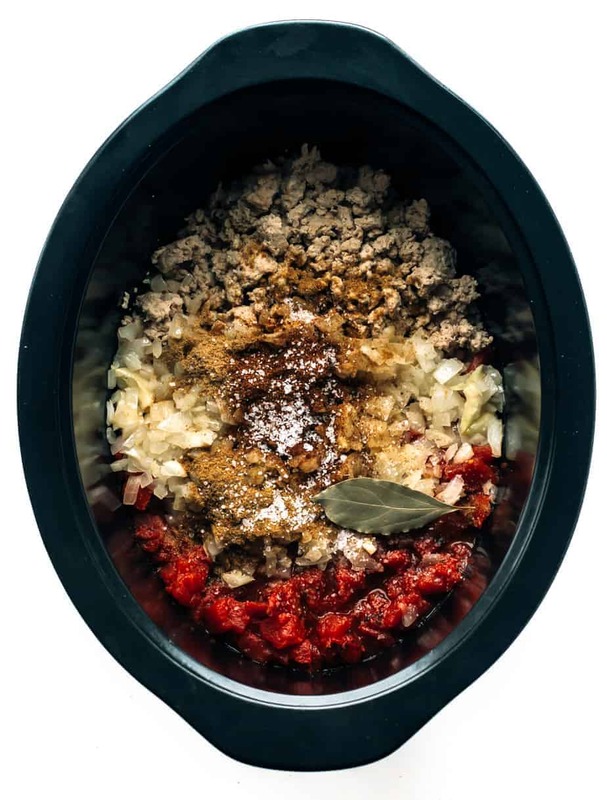 Hope you’ll enjoy this slow cooker ground turkey stew recipe. Add diced tomatoes, cumin, coriander, salt, pepper, bay leaf and southwest spice blend, then stir. About an hour before turning the slow cooker off, add the butternut squash. About 30 minutes before turning the slow cooker off, add the corn and peas. Add salt/pepper to taste according to your liking. That looks So good. I can’t wait to try this. I’m always on the lookout for slow cooker recipes that are creative. This looks so yummy! I bet this is great with ground chicken, too. Thanks for sharing the recipe. That looks amazing! I love how colorful it is too. I love to get lots of colors in with meals. I’ll have to give this a try soon! I am always looking for new slow cooker recipes to try. This looks so delicious and easy to make. I will have to get the ingredients i need this week. This looks like such a great option! 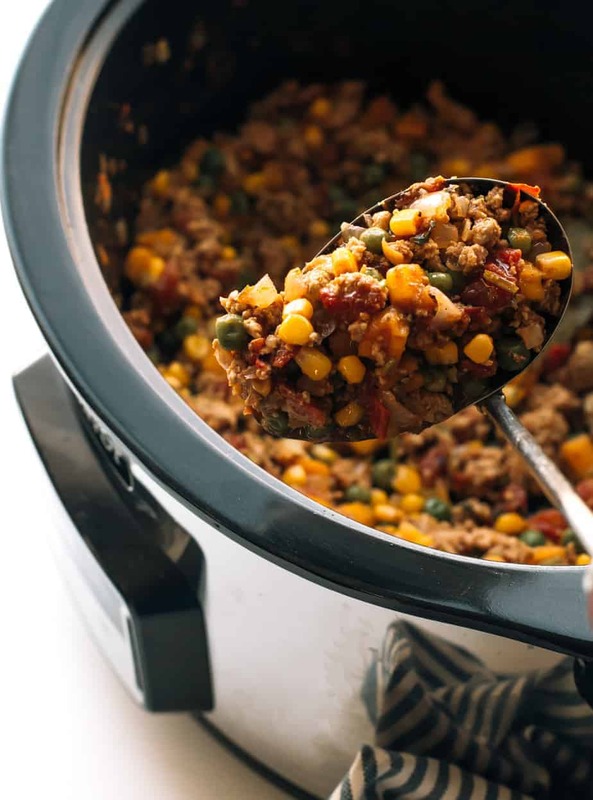 I love finding a slow cooker meal I can make for the whole family. This looks sooo good and perfect for dinner! I love Foster Farms for being organic and having good meat options. This looks like a yummy dish! With my busy schedule I love making slow cooker recipes. 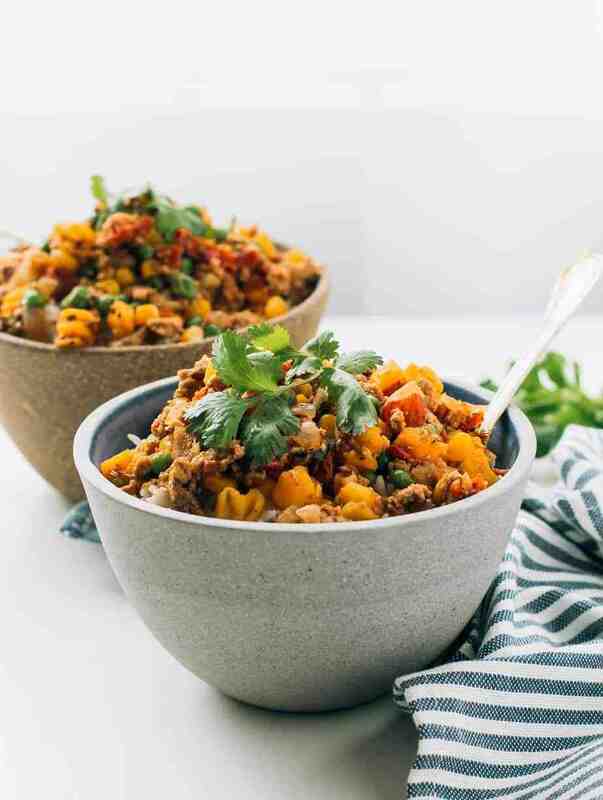 Your slow cooker ground turkey stew looks delicious. I’ll have to try making it soon. Oh my gosh! This sounds delicious for fall! Thanks for sharing. Never ate something like this before but it looks so delicious. Going to try it out! I really need to start trying new recipes. This looks and sounds delicious. I bet my family would love it. Just made this, and it’s awesome! Looking forward to using the spice mix in other recipes, too!